We are delighted to offer this fully air-conditioned/heated two bedroom, two bathroom ground floor Los Olivos apartment, with stunning views to the Mar Menor. Located directly in front of one of the two outdoor swimming pools, there is an exceptionally large sun terrace and barbeque area. 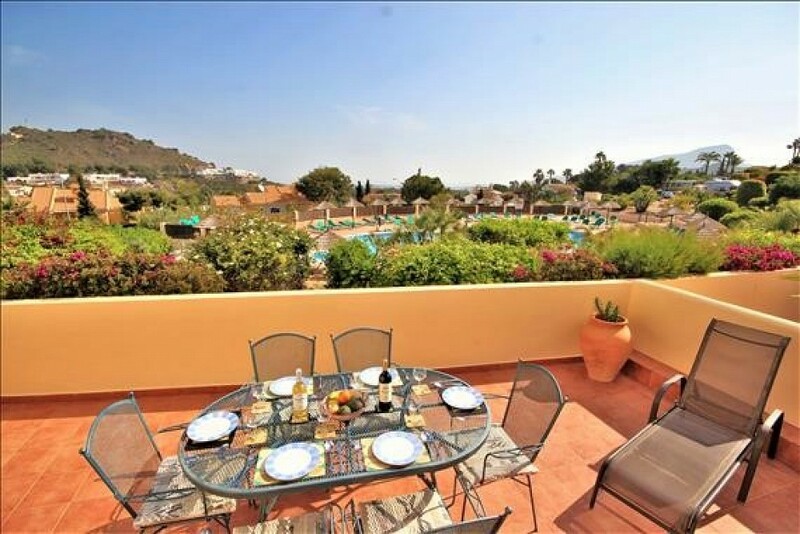 This spacious property is an ideal rental investment in La Manga Club. The community has two outdoor community pools and an indoor heated pool for all year round use, with Jacuzzi and Owners gymnasium.